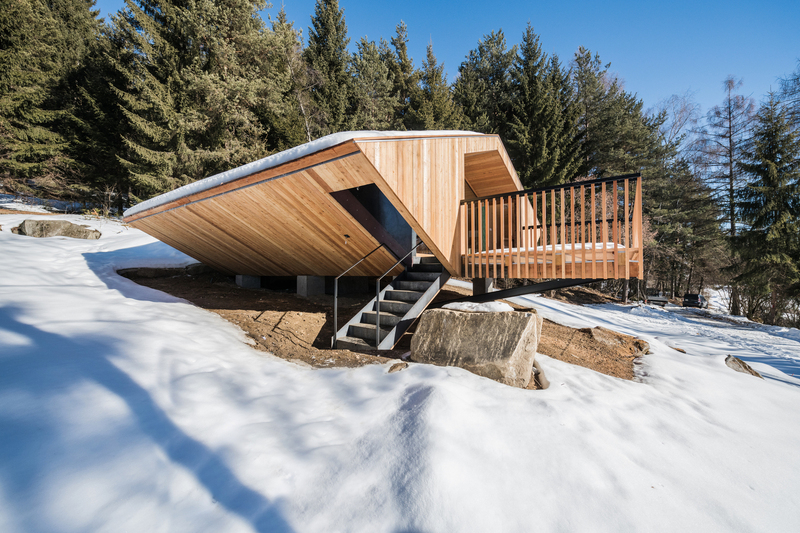 UFO by Stefan Hitthaler - The Tree Mag 5 side prism modern chalet U.F.O. 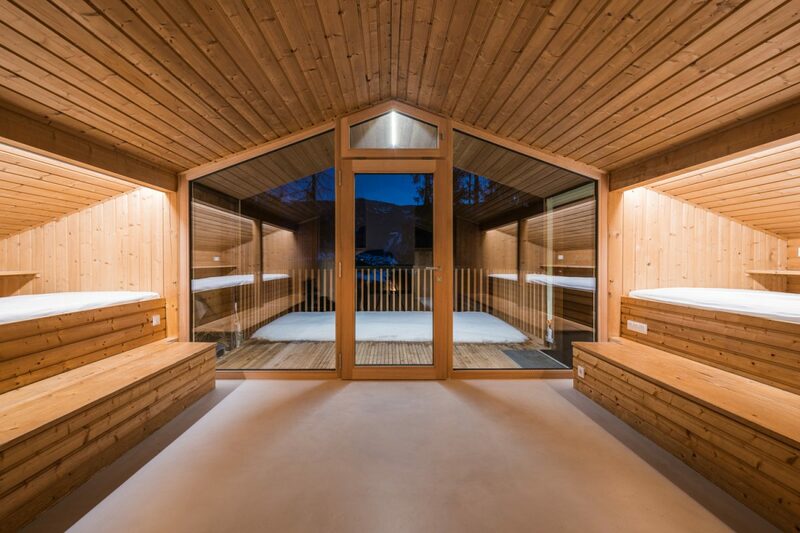 The remarkable feature of the “Gasteiger mountain chalet” today is its extremely modern and yet very simple form. 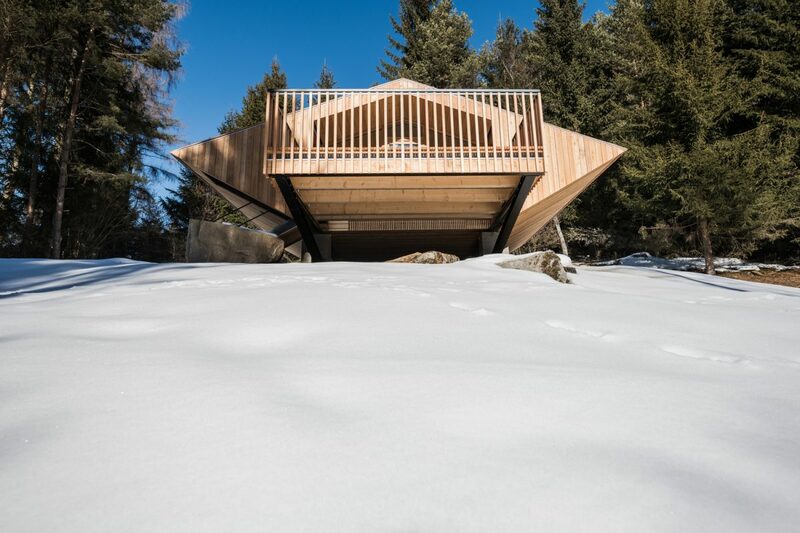 The Innsbruck based architect Josef Lackner realized this structure in a hill above Brunico in the years 1972/73. 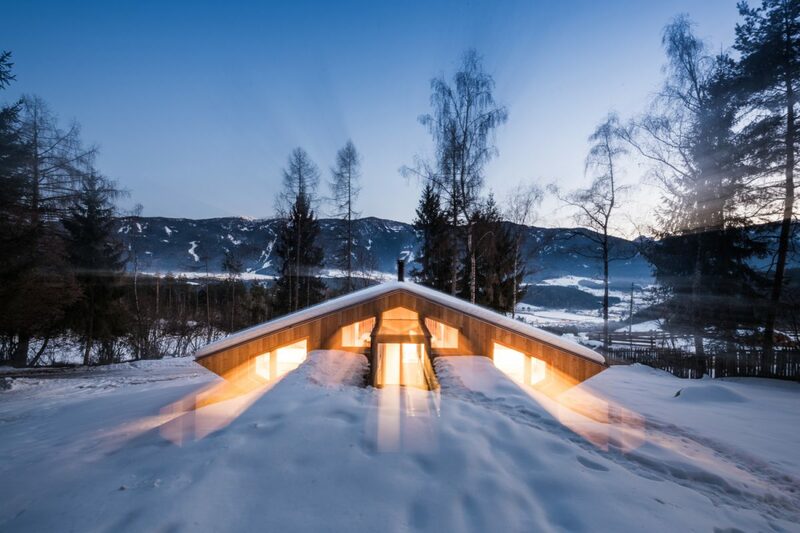 A place surrounded by wonderful landscape improved by an extraordinary house. 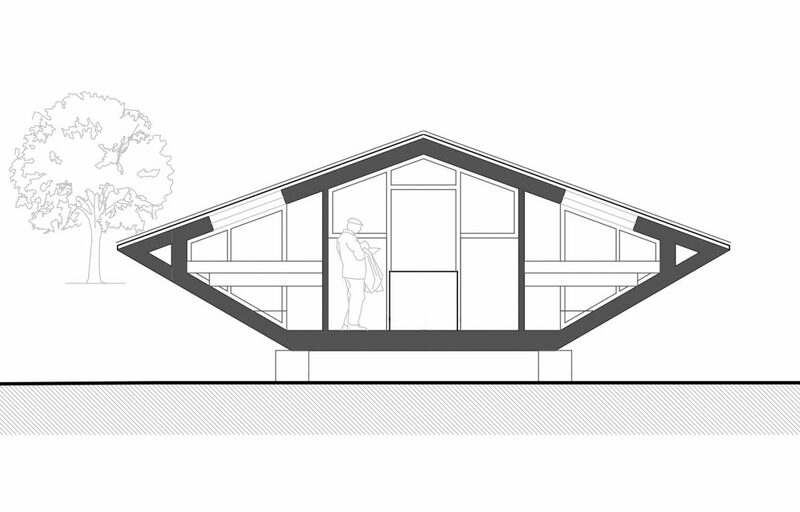 The house is a five-sided prism leaning on six low concrete pillars. Inside the main room, on the sides there are two big beds, while in the back, on the right and on the left of the fireplace and the kitchen, there are two smaller ones. 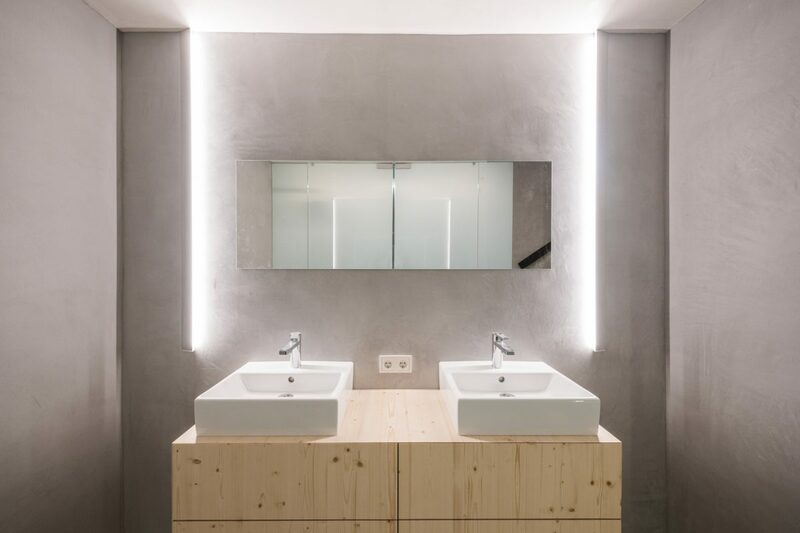 The house has been renovated and expanded in connection with the project by architect Stefan Hitthaler. 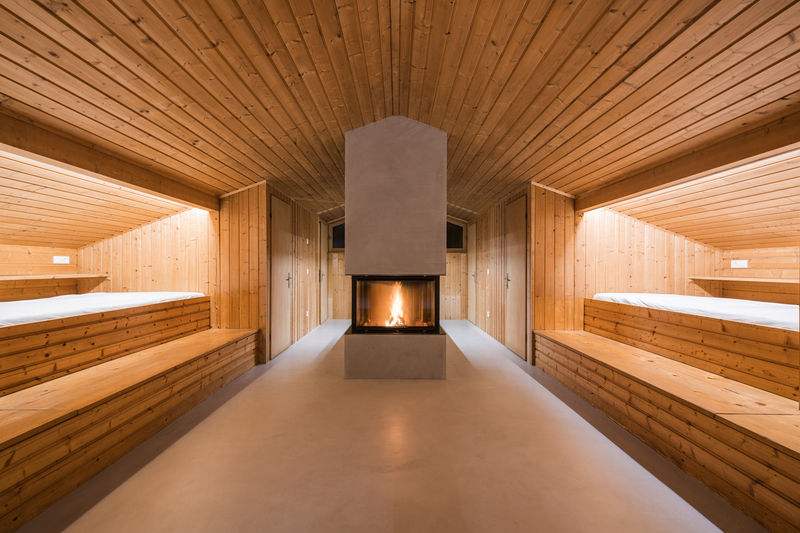 The project provides better usability, optimized living comfort thanks to an increase in thermal insulation and the installation of floor heating with heat pump and ventilation. All these solutions generate a greater energy savings. 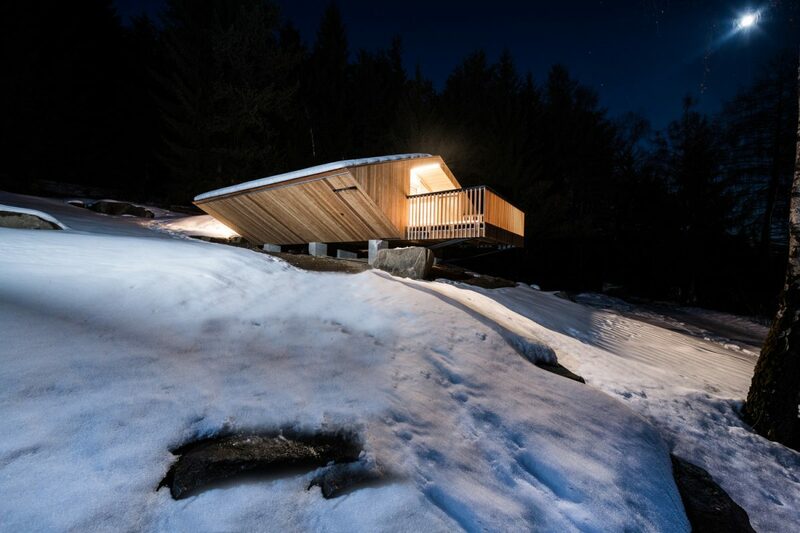 These interventions have not compromised the idea and the structural quality of the outer shell and the interior. The house was improved by the installation of a shower and toilet in the basement. The kitchen has become much brighter because some windows have been added into the side corners of the north facade and the bedrooms have become more spacious and brighter. 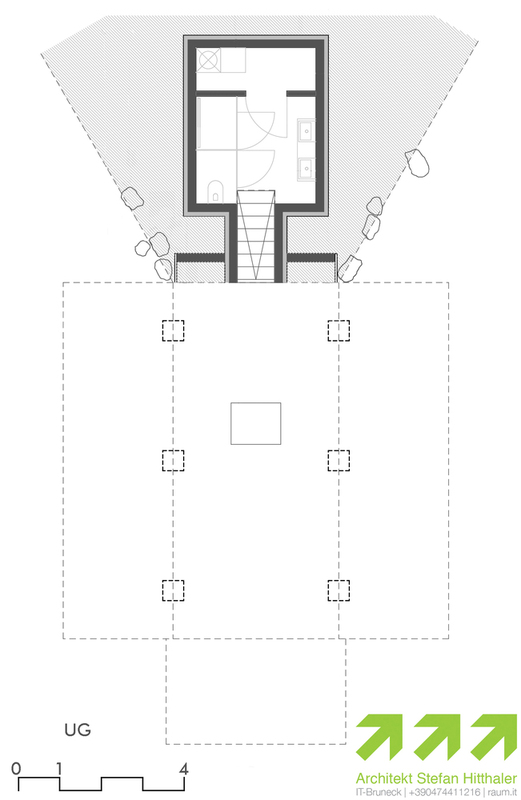 In the basement, daylight enters through a glass cube above the staircase and some horizontal and vertical LED strips create an atmosphere similar to the one that Lackner created in the main room through the windows and the indirect lighting made by the sidelights. 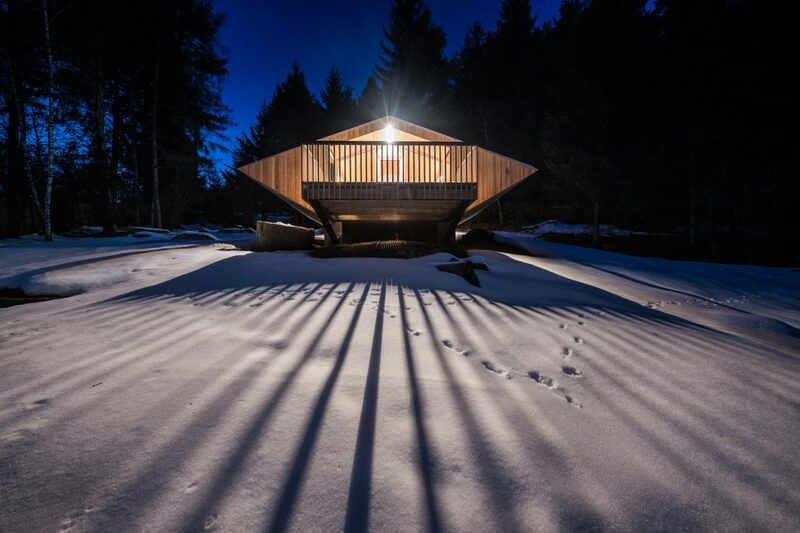 The balcony of the chalet has been replaced by a light construction made of small beams in larch wood. Diagonal steel beams fixed on the concrete pillars support this structure. This new solution offers twice as much space than before. 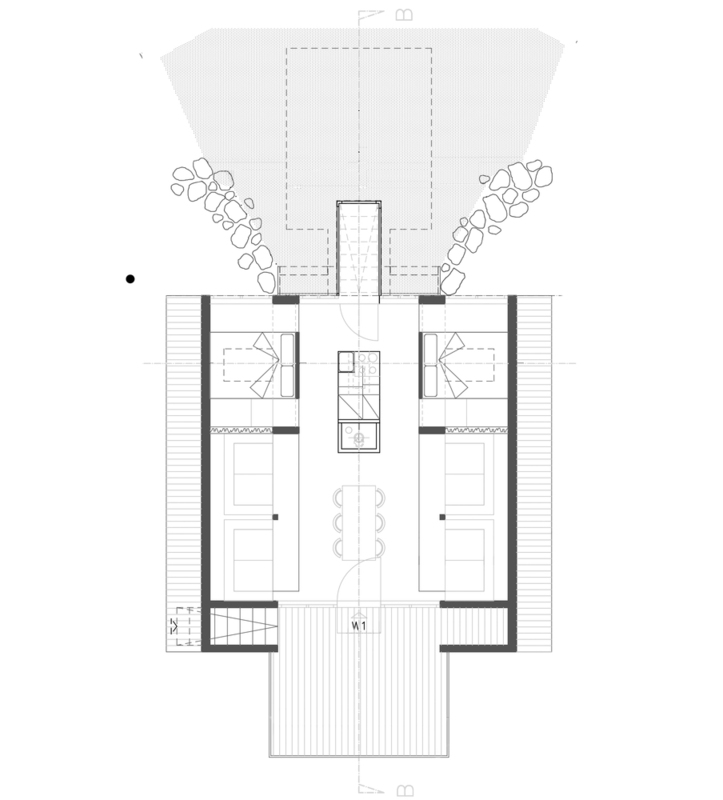 When the Corten steel access ladder disappears into the left sidewall like a UFO ladder, the whole house seems to float from the ground sloping to the south. 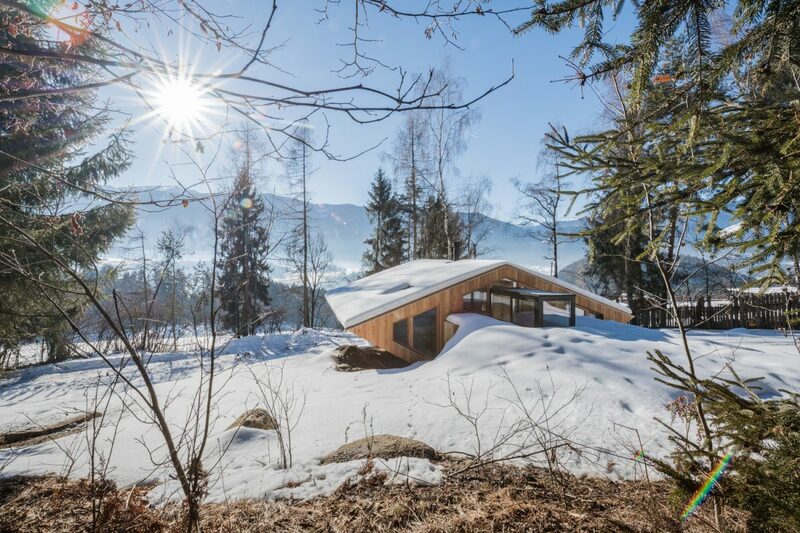 In Breitenberg, Stefan Hitthaler managed to convert an obsolete holiday home into a new functional building. An example of creative renewal respectful of the original architectural masterpiece.